The complete assortment of raw material sourced undergoes stern examinations by the professionals to keep the quality standards high. Owing to this, we are capable of bringing forth exceptional quality products. We own a substantial warehouse to keep the stacked products safely until final dispatch. With the leading technologies and automated systems, we ensure that the fragile products are sternly packed and piled up systematically. 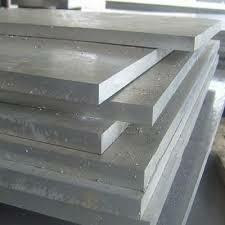 Our Aluminum Sheets have a high tensile strength with a shiny finish on the surface and a long service life.